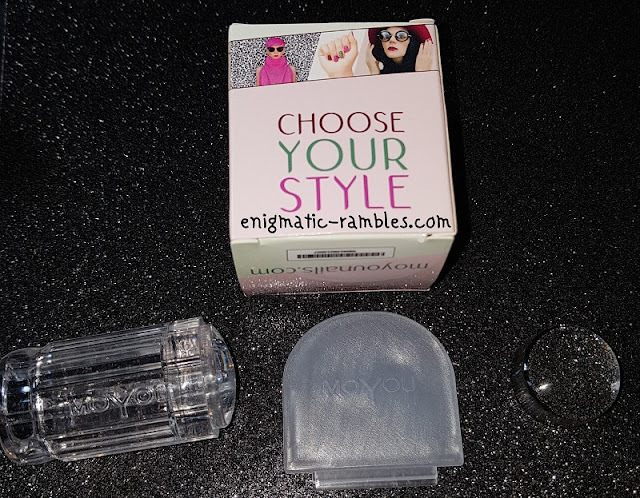 This is a clear stamper for nail art stamping, which comes with clear stamping body, two jelly clear stamping heads and a plastic scraper. Because it is clear this allows for exact placement of images, the body of the stamper is completely hollow and the stamping head being clear means placement isn't down to guess work. Both of the heads are 22mm in diameter. I would describe them as being jelly in texture, with one softer than the other. 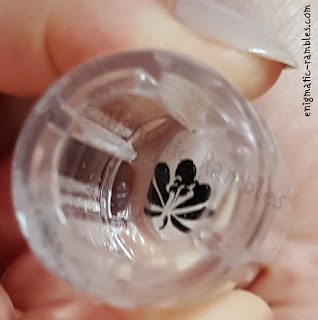 A jelly stamper makes transferring an image across easy on my nails which have a strong C curve shape to them. 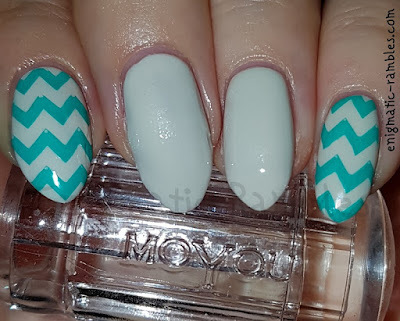 It also means the stamping head wraps the image around your nail rather than having to roll it over the nail. 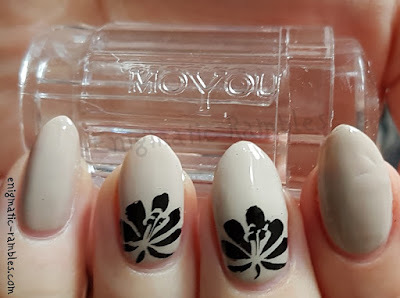 Overall I like this stamper, both the clear body and the clear stamping head makes image placement really easy. The scraper is made from hard plastic and won't damage your plates the way metal ones do.